Team Group Launches Dual Interface Flash Drive! 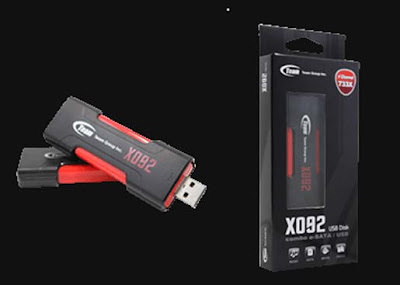 X902 is the latest dual interface flash drive comes from Team Group. You can have this flash drive in 16GB, 32GB and 64GB capacities. Moreover, these drivers are able to feature both USB 2.0 and eSATA interface. At the same time, it features read and write speed up to 110/40 MB/s using its eSATA connection. As per the sources from Team Group say, it takes just 42 seconds to copy a 4.5GB movie file. The price of the device hasn’t yet been announced.